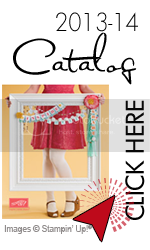 It is hard to believe how my spamping has expanded with the introduction of Stampin'Up Big Shot. 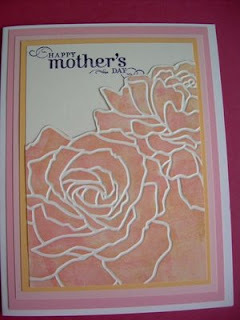 I had used some embossing plates and embossing folders but not a lot. It sure makes a difference now when I use the Big Shot. The reason, the ease of having matching stamps, DSP paper and background embossing plates that all blend together. When I opened the new catalog at Leadership in January I immediately fell in love with the stamp set Fifth Avenue Floral on page 106. Not only were the three floral stamps beautiful but the saying " You only live once, but if you do it right, once is enough." was one that I could relate to. I've used the set more than any other, and when the companion textured Impression Plate was released in March the two have been in easy reach to my stamping desk. The idea for the above card came from a very talented SU executive and team leader, Patty Bennett. You can see her video on brayering the rose http://pattystamps.com/pattys_stamping_spot/2009/04/brayered-roses-technique-and-video.html. After seeing the video I'm sure you will want the Manhatten Flower, also.